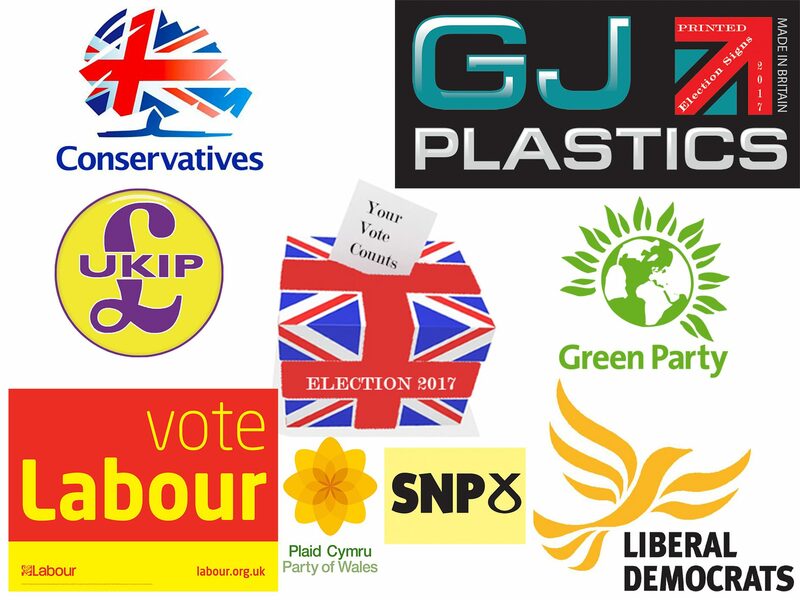 Printing to Correx Signs offer the ideal solution for Elections and political parties. GJ Plastics offer you a variety of Correx printed Campaign Signs, Election Signboards for you to choose from. If you are just ordering small amount signs, we will be able to print them within a few days for you, however, printing hundreds or several thousand may take a little longer. The Correx Boards offer the perfect solution for promoting a candidate or political party. We print directly to the material using the latest UV inks and printing processes. We can produce a wide range of sizes if this campaign sign is too large. Prices you see are for you supplying print ready artwork to us. Please view our artwork requirements on how to produce your artwork in the correct format, then email your artwork to info@gjplastics.co.uk. Correx Signage are weatherproof and durable; they can easily attached to almost any surface with cable ties, adhesive or nails. All our Correx Signs produced in our UK outlet in Radcliffe, Bury, Manchester. 60 cm by 80 cm (600 mm by 800 mm) = £8.40 each. A0 (1189 mm by 841 mm) = £16.00 each. A1 (841 mm by 594 mm) = £8.00 each. A2 (594 mm by 420mm) = £5.40 each. A3 (420mm by 297mm) = £3.80 each. A4 (297mm by 210 mm) = £1.99 each.Please select the size required from the Size attributes box the price will change to the size required. We are happy to offer you further Discounts for very LARGE BULK ORDERS. 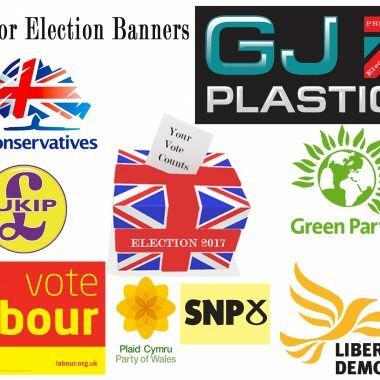 Choose your Printed Campaign Election Signs depending on your view point, voting could be one of the most important political decisions you make.